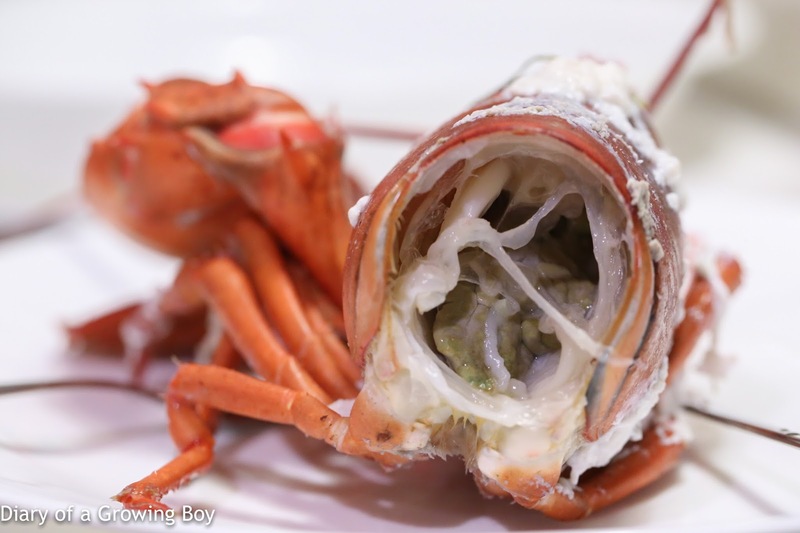 After our wonderful dinner with wild Canadian lobsters last year, we decided to place another order as they come into season again. Our first attempt for the feast last month fell through at the last minute, when Hurricane Matthew disrupted the flights coming out of the Eastern Seaboard... and the lobsters got stuck. It took us a month to reschedule, and the day finally arrived. I opened up the large styrofoam box, and found my 12 babies inside. They've travelled a long way from home, and have been kept docile with the use of ice packs in the box, but I could see that they were all still alive, and hear the bubbling noises as they breathe. After giving away 2 of the babies to the Great One, I took the rest of them to Hello Kitty's place. We had invited a few people to join us in our lobster fest, and the four of us should be able to polish off 10 of these 1-pounders, right?! To prepare the lobsters, we first poke them in the tail to release any urine still left in the body. Then each lobster is killed by piercing its head with the sharp tip of the knife, so that death is as quick as possible. 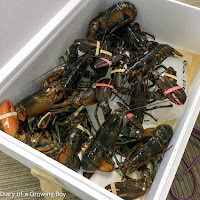 These wild-trapped lobsters have a ton of tomalley, which are a grayish green. 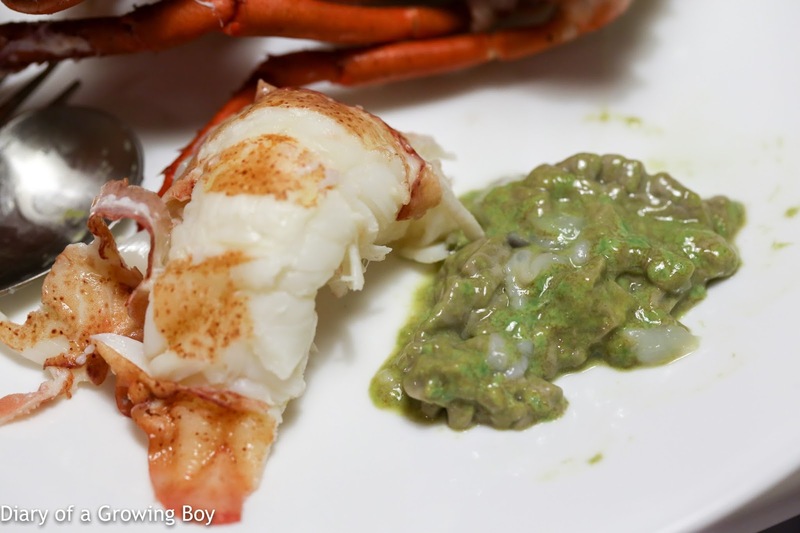 Given that these lobsters were caught in the cold North Atlantic, I don't have any worries about devouring this stuff... From our experience last year, we found that stabbing the lobsters' heads before cooking would yield tomalley that is a little more paste-like in consistency. 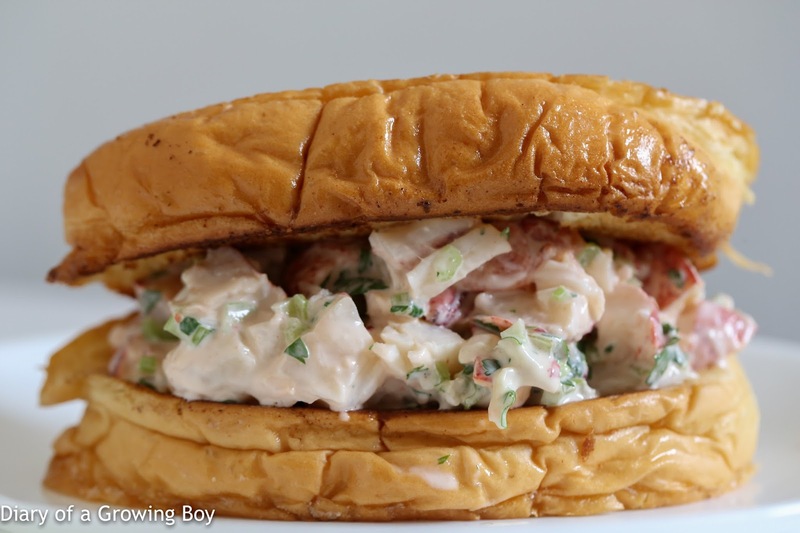 With our second round, I decided to take a whole tail for myself to make a lobster roll. 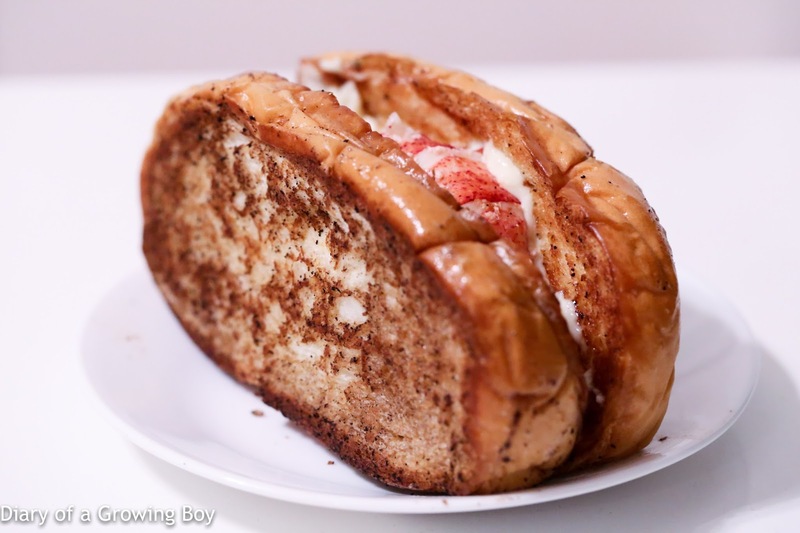 Half of a Hong Kong-style butter loaf (港式排包) from a neighborhood bakery was browned in a flat pan with some butter, and some mayo was spread on the inside before placing the lobster tail in the middle. The result was fantastic. Browning the butter loaf caramelized the sugar in the bread, and it tasted better than any regular butter roll. 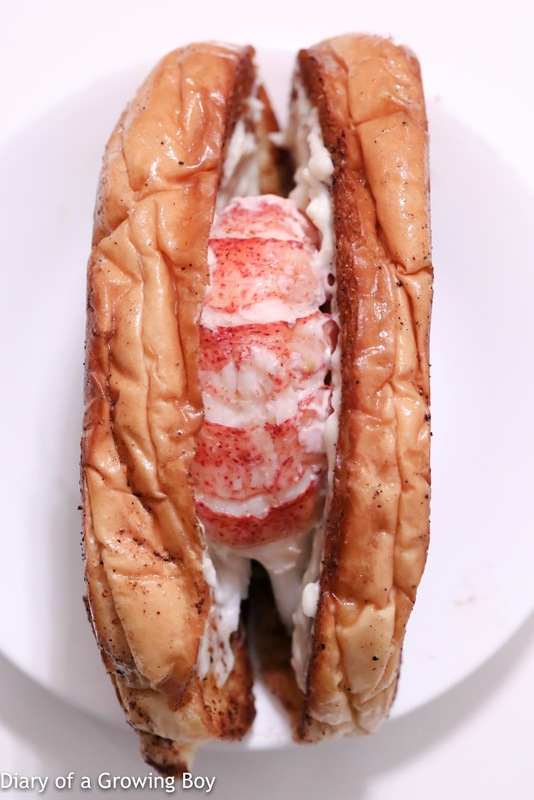 Biting into a whole lobster tail was clearly a lot more satisfying than your average lobster roll where the lobster meat had been chopped up. Now if only I were proficient enough to extract the two lobster claws and have them stay intact... Anyway, I was soooo damn happy by now, even though the bread was clearly pretty filling. 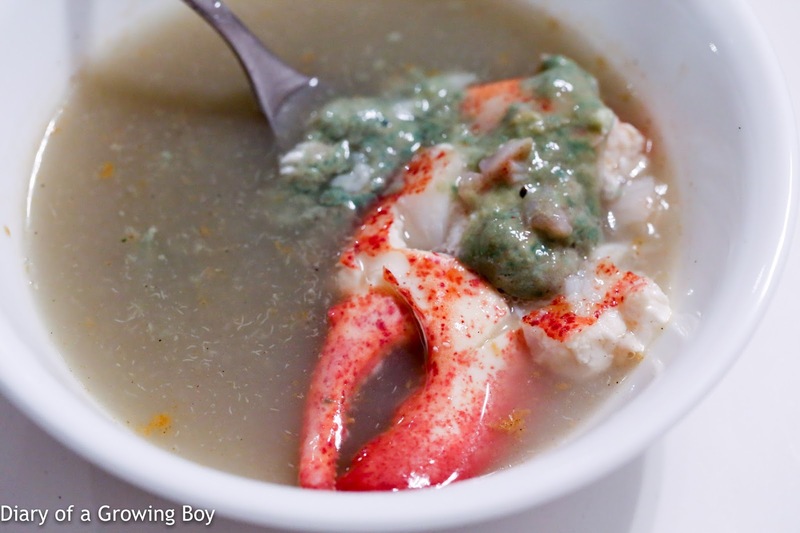 One of our friends decided to bring his pressure cooking along with some rice to make his Chiuchow-style congee, using all the leftover lobster shells. It didn't turn out the way we had hoped, but hey, I added a crusher claw along with some tomalley, and I still enjoyed it. 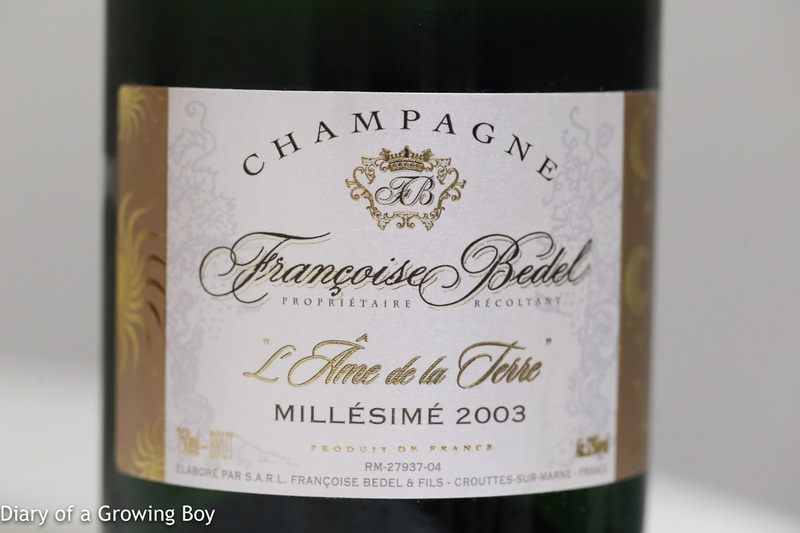 2003 Françoise Bedel L'Âme de la Terre, dégorgée Août 2012 - nice and caramelized nose, a little yeasty. 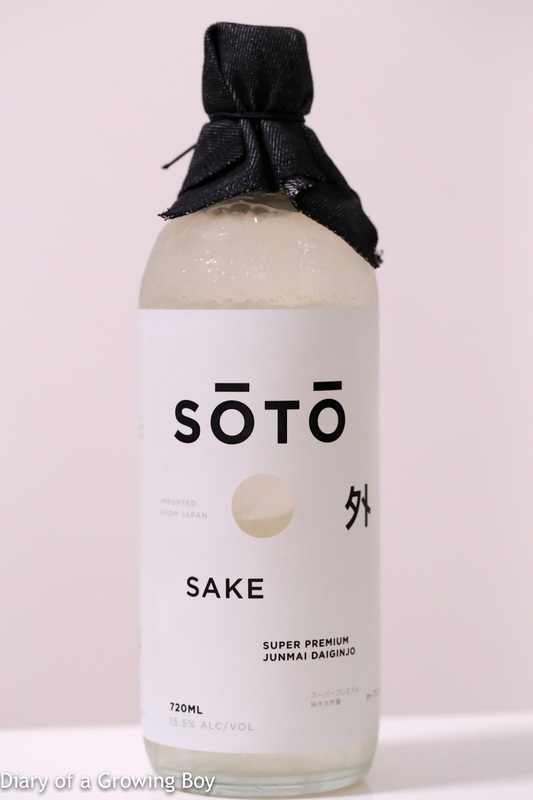 Soto Junmai Daiginjo - very one dimensional and flat. 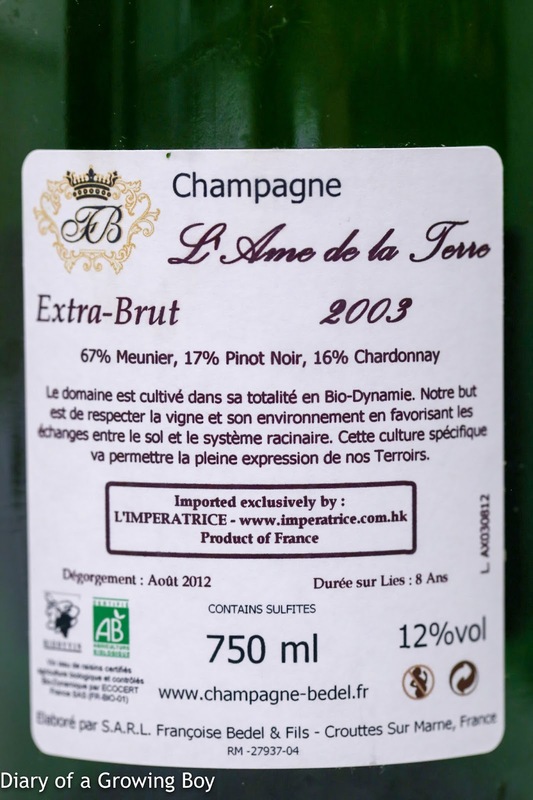 Sweet mid-palate but actually somewhat dry and spicy on the finish. 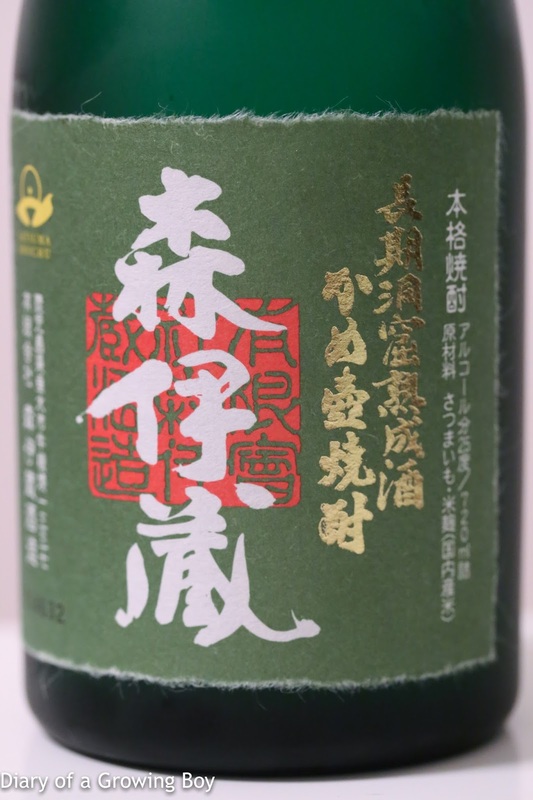 Moriizou Kyokujo (森伊蔵 極上) - I don't drink much shochu (焼酎), and found this a little off. There was clearly some acetone notes, but I couldn't figure out what the nose reminded me of. Wouldn't it be more humane killing them first before piercing them with a chopstick ?? You're right. That's what we did with some of the lobsters.